Diess: "We are really in a transitionary phase for the industry." GENEVA -- The auto industry is facing seismic changes with the rise of electric vehicles, automated driving and car-sharing set to eclipse even big mergers such as PSA's purchase of Opel, executives at the Geneva auto show said. PSA Group said on Monday it agreed to buy loss-making Opel from General Motors, creating Europe's second-biggest carmaker behind Volkswagen Group and sparking speculation of more consolidation. However, some auto executives gathering in Geneva said the deal was unlikely to alter the landscape on its own, with changing consumer habits and new rivals in Silicon Valley and China all likely to have a much bigger impact on carmakers. "My feeling is that the industry as a whole and brand positioning will change in the next 10 or 15 years, and that comes in addition to traditional consolidation," said Volkswagen brand chief Herbert Diess. "We are really in a transitionary phase for the industry. There are new competitors on the horizon like Tesla or Chinese ventures," Diess told reporters, adding that he did not expect a wave of Opel-style mergers. VW is investing billions of dollars in electric vehicles, automated driving and new mobility services, in part as it tries to recover from a costly emissions test cheating scandal that has hit demand for diesel vehicles. The company, which is also cutting costs, is unveiling a fully self-driving concept car at the Geneva show. Karl Schlicht, head of European sales at Japan's Toyota , also played down the impact of the PSA-Opel deal, which brings together carmakers with a heavy focus on diesel and low-margin fleet vehicles. "We ran a counter strategy in Europe which may not look as successful for some past years because our volumes were a bit lower, but in terms of where we want to end up, it's turning out to be a good strategy," he said, referring to Toyota's investment in hybrid vehicles. Toyota forecasts its European sales will rise 5 percent this year while the market is expected to grow just 1 percent amid uncertainty over German and French elections and Britain's departure from the European Union. Some industry analysts also say an enlarged PSA could actually ease the pressure on rivals if CEO Carlos Tavares uses similar methods to turn a profit at Opel that worked at PSA. In the three years since Tavares took the helm at PSA, its existing brands -- Peugeot, Citroen and DS -- have significantly increased pricing relative to benchmarked rivals, sometimes at the expense of sales. A similar approach at Opel, which has been among the region's most aggressive discounters, could give the entire European mass-market car industry some breathing space. "The deal could then ease price pressures, lead to a stabilization, or even a recovery," said Michele Pedroni, fund manager at SYZ Asset Management in Geneva. GM and PSA have shared production of commercial vans and developed common vehicle platforms for years, and the Opel Crossland X and the Citroen C-Aircross concept SUV on show in Geneva are a sign of the new projects and synergies they hope to achieve as one company. Stefan Bratzel of the Center of Automotive Management in Germany said the potential improvement in profitability at PSA-Opel posed a bigger challenge to rivals than its sheer size. "There is no survival of the fattest," he said. "Just because you're big, you do not win the game." Some analysts say Fiat Chrysler Automobiles, which has less than 7 percent of the European market compared with PSA-Opel's more than 16 percent, could be among the most pressured, with its high debts and costly plants in Italy. "Being a mid-sized player in Europe and not particularly profitable in the region leaves them quite vulnerable," said Felipe Munoz, an automotive analyst at JATO. "They are too expensive to be bought by one of the big guys, and they are not in a position to grow unless they find a partner." FCA boss Sergio Marchionne has long advocated mergers to share the cost of cleaner and more technologically advanced cars, but his attempt to woo GM was rebuffed and with the U.S. firm now leaving Europe that option seems even less likely. Marchionne said on Tuesday that FCA did not need a merger, but he wouldn't rule one out and said he could approach GM again if it was the right thing to do. 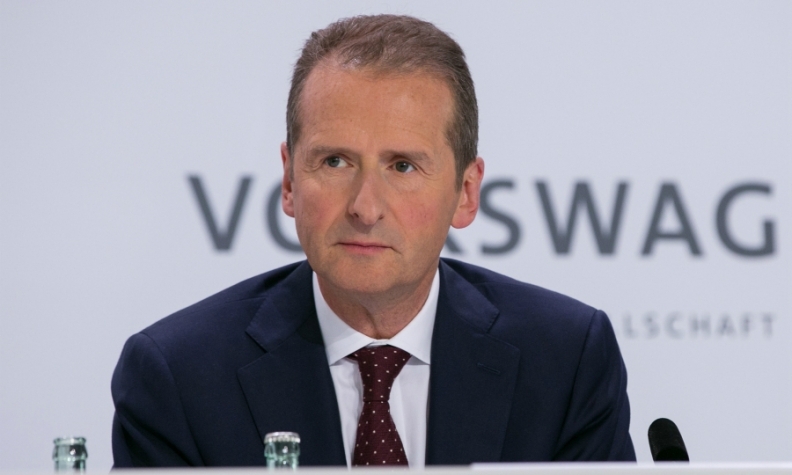 He also said the PSA-Opel deal might over time encourage VW to consider a tie-up with his own company, although one industry investment banker told Reuters that was unlikely as VW focuses on its transformation following the diesel emissions scandal. Ford, another mid-sized player in Europe, highlighted the importance of keeping costs down. European boss Jim Farley told Reuters it was "really, really important" for the future of its more than 14,000 workers in Britain that the country strikes a tariff-free trade deal when it leaves the European Union. Laurence Frost, Costas Pitas and Edward Taylor contributed to this report.